Need to file a correction for a form that's already been accepted by the IRS? 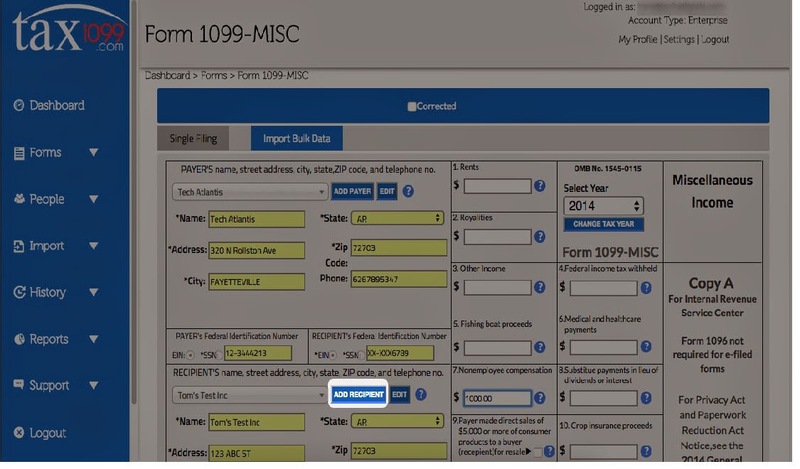 Tax1099.com will e-file your corrected forms with the IRS. This service is available, even if you didn't file the original forms with us. There are two types of corrections. Use the chart below to determine what type of correction you need to file. 2. On the dashboard, click Forms >New Form. procedure applies to any 1099, 1098, 3921, 3922, or 1042-S). 4. Click the Corrected check box (Amended check box for 1042-S). 5. Select the Payer and Recipient. Place the correct amount(s) in the correct box(es). If a check box was incorrect on the original submission, select the correct check box. To void an amount, enter 0.00 in the box. 6. Click Save and Continue to check out. Click Save & Add to add more Corrected forms. If adding more corrected forms, complete steps 1-4 for each. 7. Provide payment information. Click "Pay & Submit to e-File." 8. If you'd like a PDF copy, you will find it under Forms > Manage Forms. For this type of correction, you will have to create 2 forms. The first form will void the original form submitted. The second form will submit the correct information. 2. On the dashboard, click on Forms > New Form. 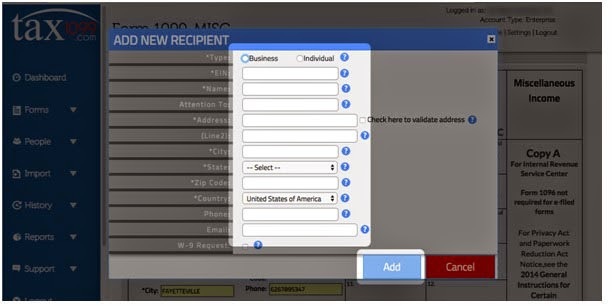 $0.Recipient information should appear exactly as it did on the original form. more corrected forms, complete steps 1-4 for each. 6. Provide payment information. Click "Pay & Submit to e-File." 3. Select the tax year and click on the tax form. 4. 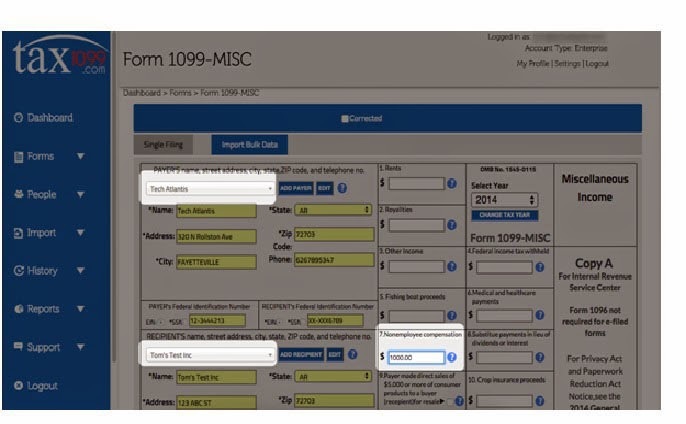 Add a payer/recipient with the correct information. Enter the correct amount(s) in the box(es). Select the payer, the recipient, and put in the correct amount. corrected forms, complete steps 1-4 for each. 6. Provide payment info on the next screen and click “Pay & Submit to e-File”. 7. 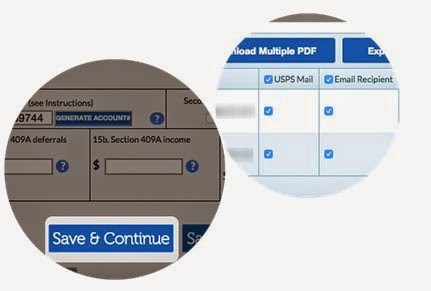 If you'd like a PDF copy, you may find it under Forms > Manage Forms. For more information, visit our Knowledge Base in Tax1099.com.